A touching but terrifying video shows a “lion-whisperer” hugging and playing with big cats. Kevin Richardson rescued lionesses Meg and Amy when they were cubs abandoned in a ditch. But he insisted that they grow up in the most natural habitat possible rather than caging them — so he released them into his South Africa wildlife park. 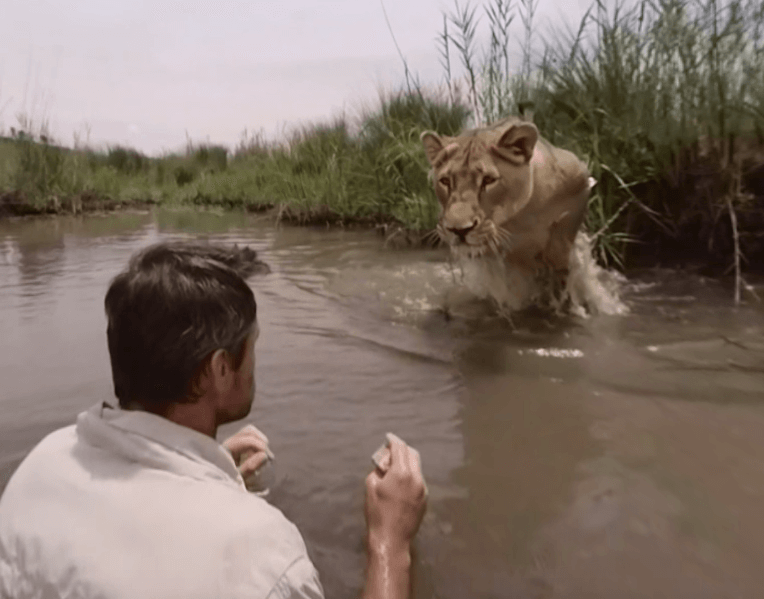 In the film, released by camera maker Go-Pro, Kevin is seen wading in water before a lion emerges from the grass and leaps at him. For The Love Of Lions features wildlife expert Kevin interacting with his feline friends. The 42-year-old explains: “I wanted to give them a little bit more than that quality of life. 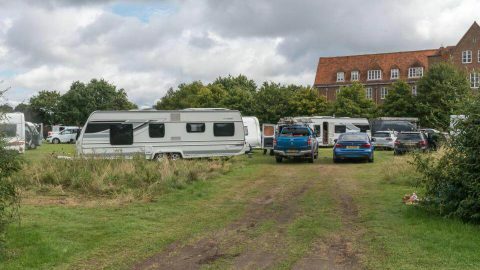 “I started pioneering certain things at the park I was working at. He also talks about how he has a bond with the lions after helping to raise them. “When I call Meg and she comes swimming and I see in her face ‘if I come to you are you going to catch me'”, he says. He adds that if he had not rescued them, they would have likely ended up in the hands of poachers or used by hunters as a trophy. “I firmly believe that if I never had M and A back they would have landed up in some shape or form in the canned lion hunting market”, he says.